Kid's Dental Health Crisis - What Can We Do As Parents? 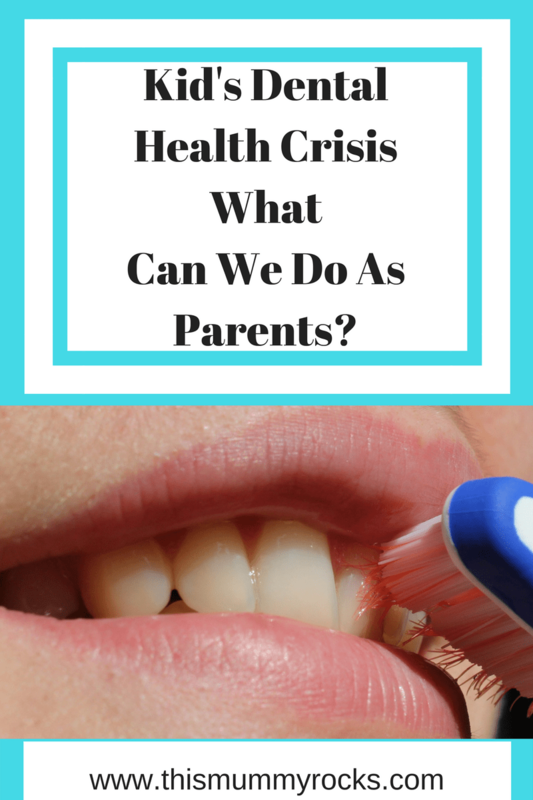 Kid’s Dental Health Crisis – What Can We Do As Parents? Kid’s Dental Health Crisis – What Can We As Parent’s Do? There has been a lot of news at the moment around Kid’s Dental Health and the fact that high levels of sugar intake are causing an epidemic of children needing tooth extractions. In fact numbers stand at around 170 daily. With children’s tooth extractions due to tooth decay being the England and Wales number one reason for child hospital admissions. In 2016-2017 there were close to 43,000 tooth extractions alone in under 18’s. Costing £36 million! That’s one hell of a lot of money! The UK government states that the main cause of poor Kid’s Dental Health is SUGAR. Kid’s are estimated to be consuming 3 times the daily recommended amount of sugar. With half of the consumption coming from fizzy drinks and snacks. In fact Sugar makes up 15% of the daily calories consumed by four to ten year olds. Check out Change 4 Life for facts on the impact sugar is having on our children’s physical and dental health. What Can We As Parent’s Do? Take regular visits the dentist – Public Health England advices that parents and carers start taking their kid’s to the dentist as soon as they get teeth, which is usually around 6 months old. The British Society Of Paediatric Dentistry has launched a campaign Dental Check By One . Taking your child to the dentist allows them to get used to their surroundings and gaining positive experiences. Make appointments every 6 months or more regular upon your dentists advice. Sign up to an NHS dentist its FREE!!! Explain to your child what happens – Read books and talk to each other about why we visit the dentist and what the dentist does. This will give a child understanding and to know what to expect. Here’s some books i’ve used with my own children in the past. Be a role model – Actively show children how to brush their teeth. Be there with them and check that they are brushing their teeth correctly. Know your toothpastes- There’s no need to buy special “children’s toothpaste” brands. In fact, some of them don’t have enough fluoride in them to help prevent tooth decay. Children from the age of seven can use family toothpaste, as long as it contains 1,350-1,500 parts per million (ppm) fluoride. Check the toothpaste packet if you’re not sure, or ask your dentist. Children up to the age of six who don’t have tooth decay can use a lower-strength toothpaste, but make sure it contains at least 1,000ppm fluoride. “Spit – don’t rinse”- Use the ‘spit- don’t rinse’ method when brushing teeth. This is so the teeth are exposed to the fluoride for longer. Offer Milk and Water as drinks- Monitor consumption of soft drinks. With England, children and young people drink sugary soft drinks more often than anywhere else in Europe. This is contributing to the increase in cavities. Make healthy food swaps-Look into how to change sugary foods into low sugar or sugar free options. Such as sugary cereal to porridge. Sugary yogurts to plain yogurt and banana. Not only will it benefit our kid’s dental health, but also their physical health. Again the Change 4 Life has lots of suggestions as well useful apps such as Food Scanner App and Smart recipes. Check out you phones app store. Take responsibility- Until your child is old enough, you as a parent need to take responsibility for your kid’s dental health. With roughly 40% of children still do not visit the dentist each year, we need to be making sure that routine appointments are made. Have a teeth cleaning routine- It’s recommended that teeth are brushed twice daily. Between us all, we can improve our Kid’s Dental Health and they won’t become one of the 170 children daily having teeth taken out.